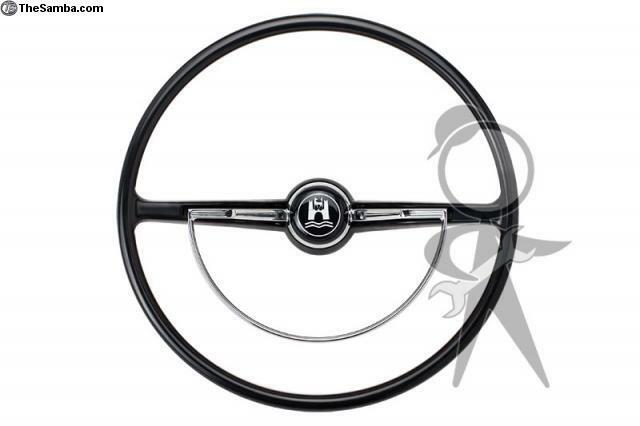 TheSamba.com :: VW Classifieds - Stock Steering Wheels - Guaranteed for Life! Use Code 10FREE to get 10% Off everything in stock, now thru DEC14! $9.00 Flat Rate SHipping, regardless of order size! Oversize charges apply to large items like fenders and windshields. Use Code: COVE20 and save 20% on car covers thru Dec 14th! We make everything in the group photo! 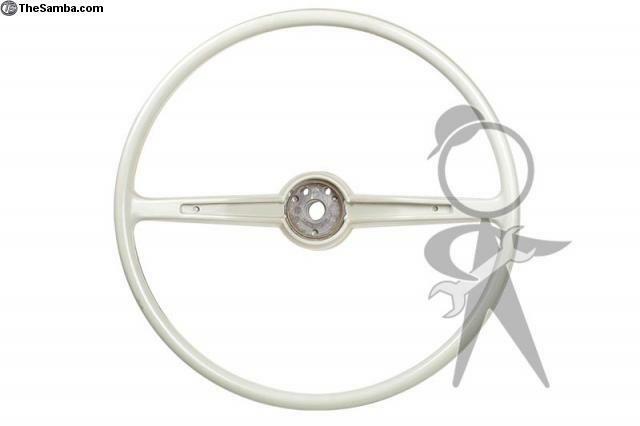 This is an OE Quality stock style replacement steering wheel for Type 1 and Type 3 Volkswagens. 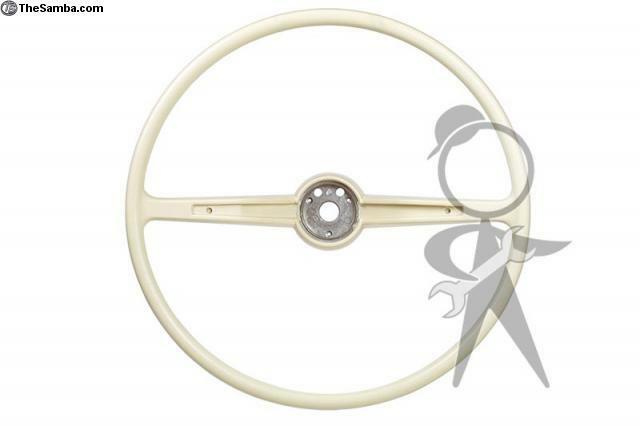 We make every part of the steering wheel assembly, including the wheels (in Black, Ivory and Silver Beige). 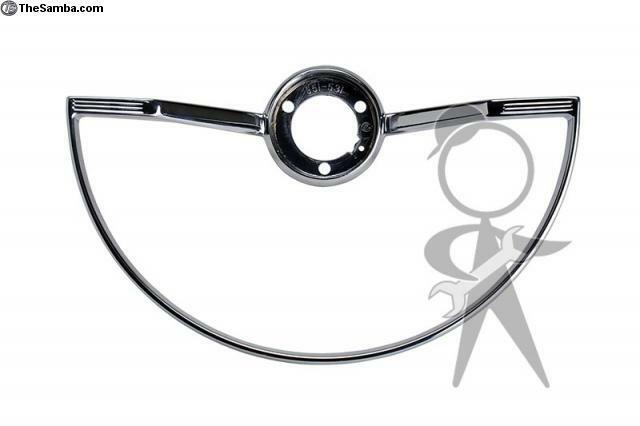 Every part interchanges with an original, so you can refurbish original equipment or proudly install this excellent quality original Volkswagen equipment copy without reservation. 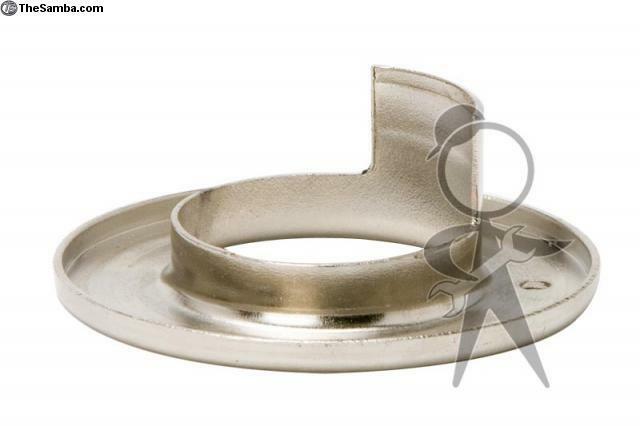 Note the wheels aren’t notched for the 1962-63 style horn ring. 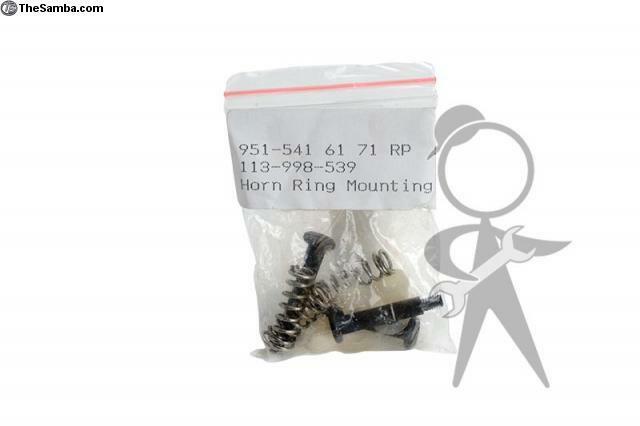 Complete Wheel Kits do not include the Turn Signal Cancel Ring. 1970 and earlier order HERE. 1971 order HERE. 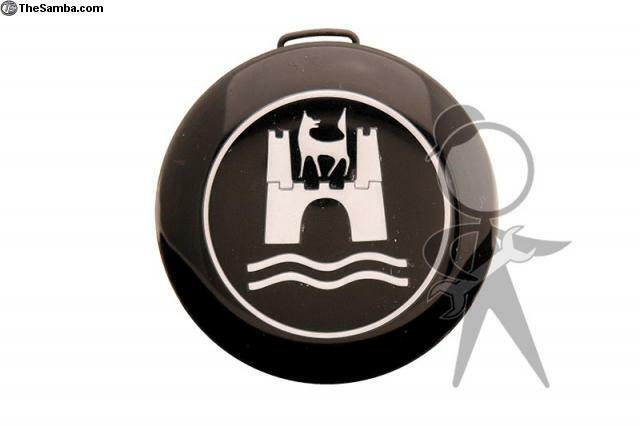 Made from a modern compound and are tested to withstand wide temperature variations without cracking. We guarantee it for life! 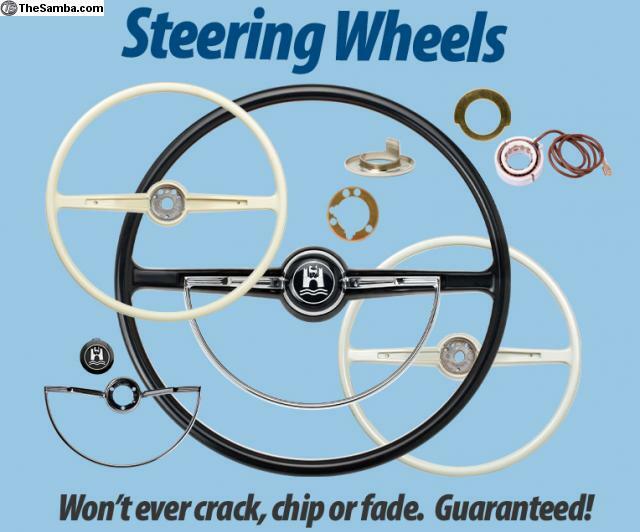 If one of our steering wheels ever cracks, we’ll replace it for free, no matter how long ago you bought it. 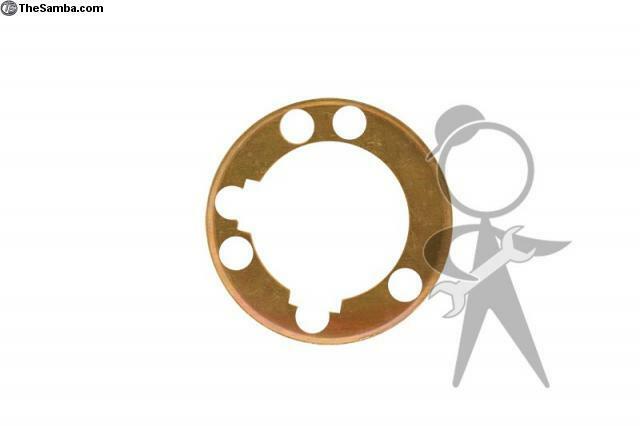 Save when you buy a complete wheel assembly or buy just the parts you need to refurbish your original.